The work of the Centre for Politics and Media Research links into a range of fields of study that focus on the most relevant questions that face 21st Century politicians, their strategists, political journalists and agencies which seek to enhance citizen engagement. 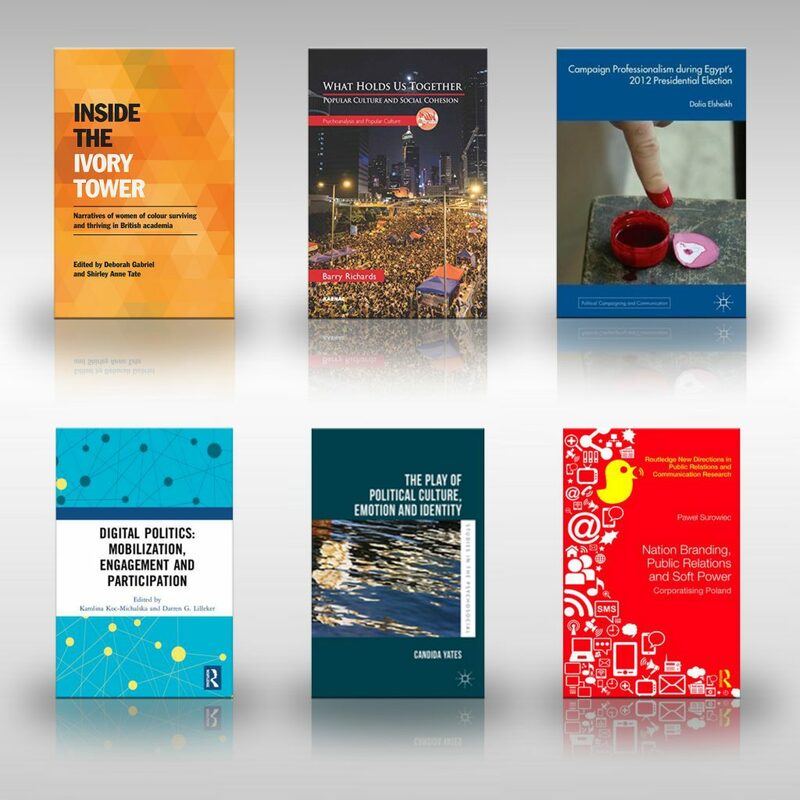 One strand of BU’s Centre for Politics and Media Research’s work focuses upon the soft power exerted through political campaign communication by parties, government pressure and protest groups. This work encompasses all contexts of campaign communication from lobbying behind closed doors to the public spectacle of elections. This work also links to work on media as a means of dissemination, contestation and influence. The study of campaign communication links to a second strand of research around the impact of political communication upon society and the citizen. This work explores theoretical and empirical questions regarding the nature of citizenship, social capital, political engagement and participation; and the consumption of politics. Much of this work is social theory located, drawing on psycho-social theory or psephological studies and dealing with matters of gender and racial equality, social inclusion, empowerment, enfranchisement and representation. A further strand focuses on the social, legislative and institutional governance which provides the framework for political communication and its mediation. The social framework approach deals with matters of ideology, social norms and the collective psychology of societies and publics. Legislative and institutional frameworks deal with the regulation of communication, regulation of the media and of the social and para-social communication facilitated through the latest digital technologies. The group’s researchers and their colleagues in universities across the EU, and partners in the US, South Americas, Australia, New Zealand, India and Thailand, have exerted influence over various aspects of public communication. Their work has been referenced in official reports as well as advisory and policy work that has shaped the communication of governments. Members have also acted as consultants to political parties, media organisations, political pressure and lobby groups and legislative bodies. Counselling and advising around issues relating to the reporting of politics and conflicts has also been a priority for group members and this has led to the setting up of a centre dedicated to supporting reporters exposed to traumatic situations. Given the scope of our research the group is heavily involved in collaborations with universities and academics across the globe with research exploring political communication within a range of contexts. From the protests of Dibden Bay residents to the spectacle of protest camps, and from the social politics of the Brazilian favelas to the high spend, high sophistication of a US Presidential election: the group’s research covers the wide range of forms and styles of political communication and its impacts upon a range of societies, polities and democratic traditions. Similarly, our research has explored the communicational traditions and their regulatory frameworks within a range of nations, and the impact upon institutions such as the UK House of Lords, the European Parliament, extremist political groups, Wikileaks and the ordinary citizen using social media to interact about politics. This cutting-edge research on the important and relevant issues and questions of our time is mirrored in the work of our postgraduate community. There is significant research being undertaken on emerging democracies with current and recent works exploring issues of democratic engagement and the appropriateness and effectiveness of democratic institutions in Thailand, Ghana and Indonesia, and the reasons for the recent failure of both in Egypt. Current work also focuses on the social relations and issues of gender equality within representative institutions, the intractability of the Israel-Palestine conflict, how the British military communicate with their public, Egyptian and British media framing of Islam, the development of terrorism in Africa, and public opinion in Kazakhstan. Our research also supports a dynamic undergraduate community, with a highly active Politics Society, and a Masters’ programme in International Political Communication linking students up with colleagues in the US and EU, giving them experience within a wide range of professional environments. An MA in Political Psychology was also launched in 2017. Yates, C. (forthcoming 2019) Political Leadership and The Psycho-Cultural Imagination. London: Routledge. Yates, C. (2018) Reflecting on the Study of Psychoanalysis, Culture and Society: The Development of a Psycho-Cultural Approach. Psychoanalysis, Culture and Society. 23(1), 54-67. Yates, C. (forthcoming 2019) On the Intersections of Politics, Emotion and Affect. In: Y. Stavrakakis, (ed.) (2019) The Routledge Handbook of Psychoanalytic Political Theory. Dolea, E., 2018. The Impact of Migration on the Construction of Romania’s Country Image: Two Intersecting Public Problems. In: Beciu, C., Ciocea, M., Madroane, I.D. and Carlan, A.I., eds. Debating Migration as a Public Problem: National Publics and Transnational Fields. Peter Lang. Dolea, E., 2018. Public diplomacy as co-constructed discourses of engagement. In: Johnston, K. and Taylor, M., eds. Handbook of Communication Engagement. Wiley. O’Loughlin, B., Vaccari, C., Ozgul, B.A. and Dennis, J., 2017. Twitter and Global Political Crises. Middle East Journal of Culture and Communication, 10 (2-3), 175-203. Aslan, B., Dennis, J. and O’Loughlin, B., 2015. Balding goes trolling? Cross-media amplification of controversy at the 2012 Olympics. Participations: journal of audience and reception studies, 12. Aslan, B., 2015. The Mobilization Process of Syria’s Activists: The Symbiotic Relationship Between the Use of Information and Communication Technologies and the Political Culture. International Journal of Communication. Gerodimos, R., 2015 The Politics of Extreme Austerity: Greece in the Eurozone Crisis. Palgrave Macmillan. Graham, T., Jackson, D. and Wright, S., 2015. From everyday conversation to political action: Talking austerity in online ‘third spaces’. European Journal of Communication, 30 (6), 648-665. Graham, T., Jackson, D. and Wright, S., 2015. ‘We need to get together and make ourselves heard’: everyday online spaces as incubators of political action. Information, Communication & Society. Lilleker, D., Koc-Michalska, K. and Jackson, N., 2015. Social media in the UK election campaigns 2008-14: experimentation, innovation and convergence. In: Bruns, A., Enli, G., Larsson, A.O. and Christensen, C., eds. The Routledge Companion to Social Media and Politics. Routledge, 325-337. Lilleker, D.G., Tenscher, J. and Štětka, V., 2015. Towards hypermedia campaigning? Perceptions of new media’s importance for campaigning by party strategists in comparative perspective. Information Communication and Society, 18 (7), 747-765. Lilleker, D. G., 2014. Political Communication and Cognition. Basingstoke: Palgrave Macmillan. O’neill, D., Savigny, H. and Cann, V., 2016. Women politicians in the UK press: Not seen and not heard? Feminist Media Studies, 16 (2), 293-307. Richards, B., 2015. The voices of extremist violence: what can we hear? In: Thorsen, E., Jackson, D., Savigny, H. and Alexander, J., eds. Media, Margins and Civic Agency. Basingstoke: Palgrave Macmillan, 62-74. Richards, B., 2016. Review of Papacharissi, ‘Affective Publics. Sentiment, Technology and Politics’. International Journal of Press-Politics, 21 (1), 137-139. Richards, B. and Brown, L. (2017) Evidence and ideology: moderating the critique of media Islamophobia. Journalism Education 6(1), 12-22. Surowiec, P. and Štětka, V., 2017. Social media and politics in Central and Eastern Europe. London: Routledge. Veneti, A., 2016. Political Selfies: Image Events in the New Media Field. The Digital Transformation of the Public Sphere: Conflict, Migration, Crisis, and Culture in Digital Networks. Palgrave McMillan. Veneti, A. and Poulakidakos, S., 2015. Political Communication and Tweeter in Greece: Jumps on the bandwagon or an enhancement of the political dialogue? In: Deželan, T. and Vobic, I., eds. (R)evolutionizing Political Communication through Social Media. USA: IGI Global.